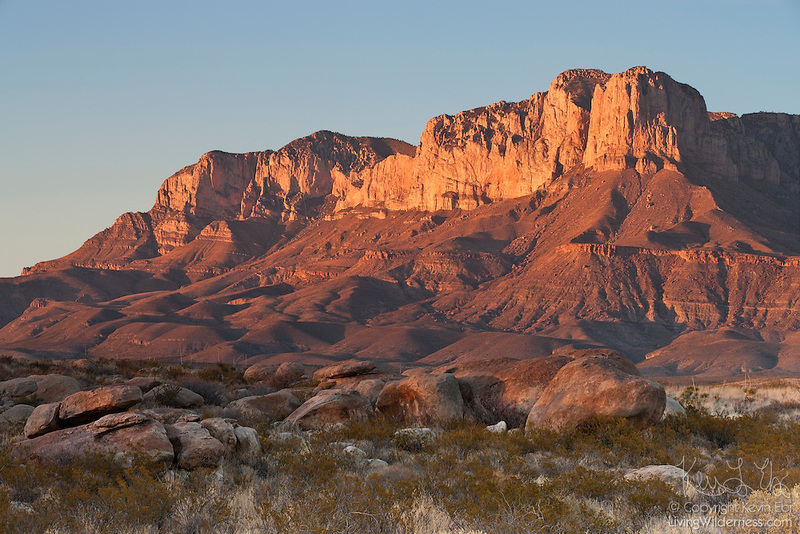 The Guadalupe Mountains in western Texas are turned golden by the setting sun. The iconic El Capitan (8085 feet/2464 meter) is visible at right. Guadalupe Peak, the highest point in Texas at 8749 feet (2667 meters) is at left.